Let me begin with a welcome to everyone, and a warm thank you to the MIT Gospel Choir and to the Ettienne Group for the glorious music, and to Khalea Robinson and Pierre Fuller for their truly inspiring words. We often say how much the intelligence and ambition of our students inspires us, but every year, at this event I feel infinitely proud to play a role, no matter how minor, in helping terrific young people like you advance into your leadership roles to come. Thank you for your contributions at MIT and thank you, in advance, for the important ways in which I know you will serve the world. I also want to thank our hosts this morning, the Committee on Race and Diversity. I look forward to this celebration every year, for the sense of community and shared purpose. Yet each year we know that there are more voices we should hear from and much more we can learn from one another than we can share in a single breakfast. So I am delighted that over the next six weeks, the MIT community will have the benefit of four faculty-led forums on “Human Diversity and Social Order,” featuring a superb roster of speakers, from both inside and outside MIT. Thanks to the leadership of Associate Provost for Faculty Equity, Professor Wesley Harris, and of Professor Leon Trilling, these forums will explore how diverse populations interact on the world stage and how America’s diversity makes our culture richer and stronger. The Forums will also look at current roles of America’s underrepresented minority populations and at the urgent challenge to expand those roles by making high quality education available to students from every background. In the best MIT tradition, these forums will push us to think in new ways about longstanding problems, a theme that I hope will be struck continually throughout the ongoing celebration of our 150th anniversary. I urge all of you to attend and to encourage others across the MIT community to attend, too. As I hope has become obvious, in preparing for the MIT150 celebrations, we have been digging into MIT’s history, seeking from our past the fuel for the future. Perhaps the most salient discovery for me is that the seeds of MIT’s distinctive culture and values were planted at the very beginning of the Institute’s existence. Our founder, William Barton Rogers, developed the ideas that would give rise to MIT over the course of the 20 years before the Institute’s founding. To accelerate America’s development as an industrial powerhouse, he wanted to make science more useful, and the “useful arts” more scientific – still a pretty fair description of our work today. At a time when the core of a “gentleman’s education” consisted of Latin and Greek, memorized by rote, Rogers advocated hands-on learning, with students and faculty doing real research side by side – the central theme of MIT’s inextricable interweaving of research and teaching, even now. What’s more, having spent the first two decades of his career in antebellum Virginia, struggling to teach science to privileged, but largely uninterested, lackluster students, he came to believe deeply in rewarding talent and initiative, regardless of social position or pedigree. In that spirit, at MIT we think of ourselves as a meritocracy. We want to believe that we always welcome good ideas and new perspectives, no matter who presents them. At our best, that’s true. We are not always at our best, however, and, as I have said so often before, a true meritocracy is always a work in progress. Throughout its history, MIT has been reasonably good at opening the door to new faces and perspectives, but that turns out to be the easy part. Much harder is achieving real inclusion – creating an environment in which everyone feels full citizenship in the community. If we look at the history of MIT, we see this drawn-out dynamic unfold many times. Let me choose just one example. In 1870, five years after the Institute enrolled its first class – of all men -- a brilliant young Vassar graduate, Ellen Swallow, applied for further study at MIT. The MIT Corporation reluctantly agreed to accept her, but only as “a special student in Chemistry -- it being understood that her admission did not establish a precedent for the general admission of females.” If MIT’s leaders needed proof that they had acted wisely, she gave it to them: After becoming MIT’s first female graduate, in 1873, she went on to conduct the science that produced the nation’s first water quality standards, and to pioneer many important ideas, including the concept of ecology. In 1882, the powerful example of Ellen Swallow, now Ellen Swallow Richards, motivated the MIT Corporation to vote to begin “the general admission of females.” More women followed, including many impressive firsts: In 1905, Marie Celeste Turner became the first African-American woman to attend MIT. In 1922, Elizabeth Pietsch became the first woman to earn an MIT Ph.D -- in chemistry. It was not until 1968, however, that Millie Dresselhaus became the first woman at MIT to attain the rank of full, tenured professor. And in that same landmark year, Jennifer Rudd and Shirley Jackson became the first African-American women to earn bachelor’s degrees from MIT. Shirley Jackson would become the first African-American woman in America to earn a PhD in Physics – and would go on to chair the US Nuclear Regulatory Commission and she now serves as President of Rennsalaer, is a member of PCAST, President Obama’s Council of Advisors on Science and Technology, and is a member of the MIT Corporation. Yet despite individual achievements like these, at the time of MIT’s Centennial in 1961, the Institute still enrolled only 155 women of its roughly 6,300 students – 78 undergraduates and 77 graduate students. They were still called “co-eds,” and many were not entirely sure that they belonged. Today, through conscious and sustained outreach over many years, those numbers have improved. Currently, 45% of our undergraduates are women, and the question of their “belonging” is largely moot. Just as the Institute was relatively early in admitting women, MIT has long had its doors officially open to talented students and faculty of every background. Our history shows that in this dimension – this openness – the Institute helped lead the way to a more inclusive society. MIT admitted students from China and Japan as early as the 1870s and ‘80s, and in the 1870s was second only to Yale in the number of students admitted from the unprecedented “Chinese Educational Mission”. Robert Robinson Taylor became MIT’s first black graduate in 1892, at a time when major public and private colleges as far north and east as Princeton routinely excluded blacks -- sometimes by law, sometimes by custom. In the 1930s and ‘40s, Institute legends like Richard Feynmann and Paul Samuelson came to study or teach at MIT because at other prestigious universities Jews were shut out, or limited to tiny quotas and made to feel distinctly unwelcome. Today, of our roughly 4,300 undergraduates, nearly 1,000 identify themselves as belonging, fully or in part, to an underrepresented minority group. This year, 19% of our undergraduates come from families with incomes less than $50,000 a year. 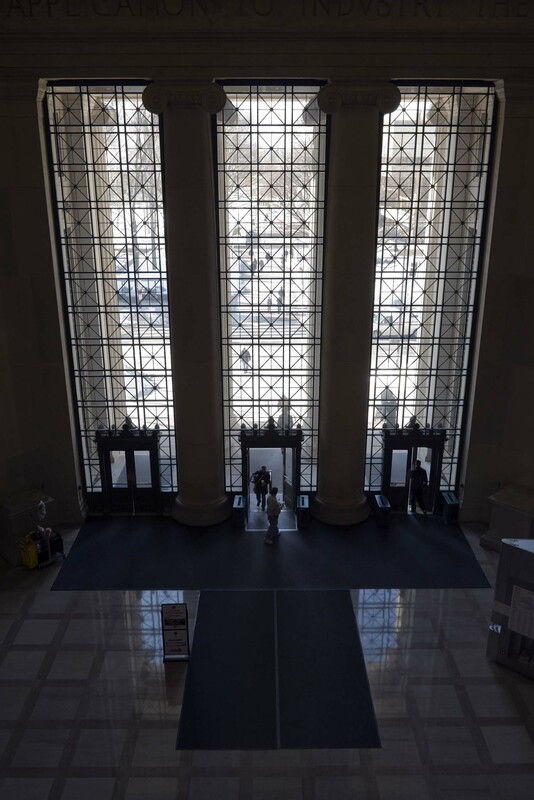 And for an institution that admits fewer than one in ten of those who apply, MIT continues to enroll an unusually high percentage of students who are the first in their families to go to college. Yet, as I said, opening the doors turns out to be the easy part. Where the Institute still has work to do is in making sure that those who come to us from outside the circle of affluence or privilege can count on a sense of full citizenship and belonging at MIT. That was one of the important conclusions of last year’s report of the Initiative on Faculty Race and Diversity: that many of our faculty members from underrepresented minority groups are discouraged by a sense that they do not quite fully “belong.” Changing that sense to one of full inclusion is our central challenge today. On the occasion of our 150th anniversary, I hope we can celebrate our history and use it as fuel for the future, to understand what we have yet to accomplish in terms of diversity and inclusion. We must find ways to lead the nation – not only in the number of brilliant scientists and engineers and architects and entrepreneurs of color we produce – but in how engaged and comfortable they feel at MIT. As the title of this breakfast suggests, achieving excellence in inclusion must be a “shared path,” and I truly look forward to working with all of you to bring us closer to our ideal.